Johnny Depp and Amber Heard’s public apology to Australia over smuggling their dogs into the country is one of most cringeworthy things I’ve ever seen. Johnny Depp looks like he’d rather be anywhere else than filming a public apology, and Amber Heard is overly sincere, but the celebrity couple’s run-in with the land Down Under raises a few good points for traveling pet owners. Once you get past the look on Johnny Depp’s face (it helps to close your eyes and just listen), the couple offers some decent advice. Following importation regulations is actually a really big deal, as I found out for myself when I brought my dogs to a small, tropical island in the Caribbean. Here are a few things Johnny Depp and I would like you to know about traveling internationally with pets. They don’t want your pet’s nasty North American diseases. They will deport or euthanize your pet if you do not comply with import regulations. Yes, they really will deport or euthanize your pet. No exceptions. You are not special (as Johnny Depp and Amber Heard clearly illustrated for us). My dogs were destined for St. Kitts in the West Indies, where my fiancé was attending school. I quickly realized that this was not going to be an easy process. Importing a pet requires jumping through a lot of hoops. Your pets will need vaccine titers, which are tests that measure the number of antibodies in your dog’s blood to see if they need another vaccine. These titers, especially rabies, take weeks. Then there is the international health certificate, which your pet needs to leave the country, plus proof of microchipping, proof your dog is not on a banned breed list (sorry, Pittie lovers), any paperwork the airline requires and, last and most important, the paperwork needed at your destination. All that paperwork usually requires multiple visits to the vet. Vet visits and vaccine titers are expensive. Then there are airline crates and tickets, and in some cases, like New Zealand, the cost of a government-regulated quarantine facility. It cost us close to a grand to import our two dogs, not to mention the toll the stress of importation took on my mind. I was terrified the entire time that I would forget a crucial piece of documentation and that my dogs would be ripped from my arms and shoved on the next flight back to the U.S., with or without me. Foreign countries don’t want to deal with any diseases or invasive species we might try to bring into their borders, as Johnny Depp explains through gritted teeth. The biggest thing they don’t want to deal with is rabies. Rabies-free islands really, really don’t want a rabies outbreak. I didn’t fully understand this until I arrived at St. Kitts, a smallish island with a huge feral dog and cat population. A rabies epidemic here would be devastating and very difficult to control. 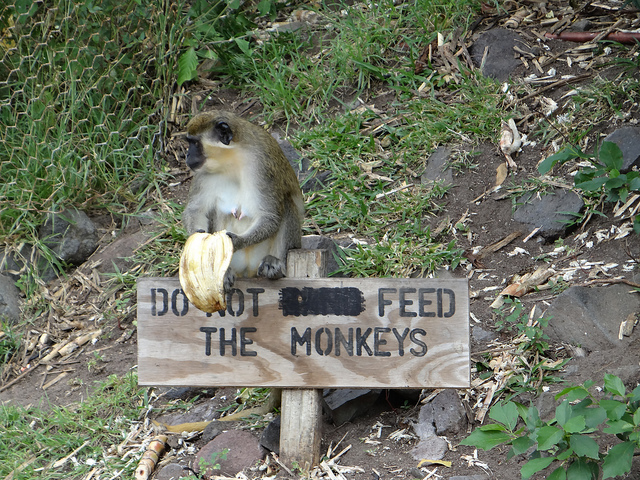 The island also has a large monkey population. The monkeys themselves are invasive thanks to early sailors, but it doesn’t take much imagination to picture the damage that rabid monkeys could do to unsuspecting tourists and locals. I don’t know about you, but I don’t really want to live through a real-life zombie apocalypse. Unlike Depp and Heard, we followed procedure and kept our dogs in a fenced yard for 30 days after we arrived. Sure, we could have sneaked them out — and some people did — but the risk of immediate deportation of our dogs was a strong deterrent. Quarantine has its purposes. A lot of diseases are not immediately detectable and take time to show symptoms. Quarantine, either in-house or in a government facility, allows the foreign country to be sure you haven’t brought a particularly vicious strain of dog flu with you. The most important thing I took away from Johnny Depp’s less-than-Oscar-worthy performance and my own experience was respect. When you bring a pet into a foreign country, you and your pet are subject to the laws of that country — and to the consequences of breaking those laws. In the end, of course, the stress is worth it. The dogs love the beach, and nothing is more important to me than keeping my family together, furbabies and all.